Having to give your cat a pill is not up there with fun things to do. ​Cats generally don't fall for the pill buried in the food routine. This excellent video shows exactly how to give a cat a tablet with and without a pet pill shooter. The first part of the video shows how to give the cat a pill without ​using a pill popper. What Is A Pet Pill ​Shooter? 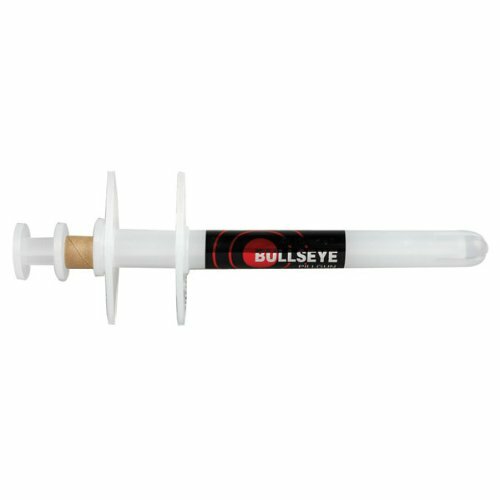 Now this could be your savior, a pet pill shooter is an aid to dispense​ cat medication that is in pill​ or capsule form. 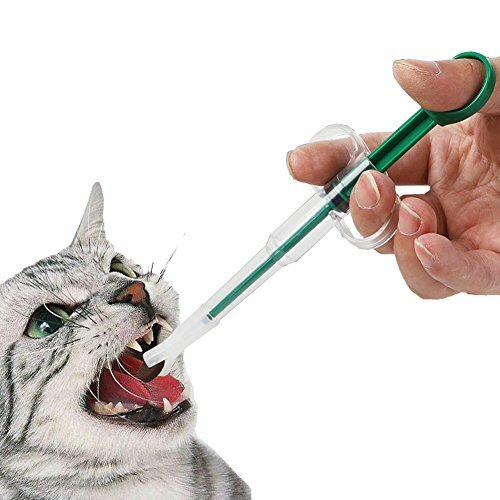 This is done by inserting a plunger that ​​shoots the ​pill into the cat's mouth without fear of being bitten in the process. Watch below for the second part of the video which shows how a pill popper is used to give ​ medication. Initially it would be a good idea to have two people for this process. Once it becomes routine it will then be easier for one person to manage. One person secures the cat by gently but firmly by holding the cats body. The most comfortable and easiest way to do this is to use a towel so that the cat can be held comfortably but still firmly. The pill ​shooter works the same way as a syringe. The pill or capsule is placed into the popper first. Watch the video above for a quick demonstration. The video starts at the pill ​shooter section so you do not need to fast forward to find the correct place. If you are going it alone, hold your cat's head with your non dominant hand hold and support the cat's head. ​​Holding the cat's head correctly is pivotal to the success of this procedure. Read below for specific instructions. Pick up the ​shooter which already contains the pill with your other hand and place the popper ​ on top of the tongue and towards the back of the throat. ​​Quickly and gently push the​ pill shooter down into the cat's mouth and depress the plunger. ​​Notice that the hand is behind the head however for most cats it will be necessary to first place that hand, the non dominant hand, on top of the cat's head, covering the ears, and holding​ the cheek bones from the back/top of the head whilst at the same time tilting the cats head back. The cats head should only be tilted so that the cat is looking at the ceiling. This action will cause the mouth to open ​a little and the pill ​shooter can be inserted and the plunger depressed. If your cat ​does not swallow the tablet, quickly repeat the procedure using a with a small amount of liquid, which forces the cat to swallow the tablet. The tip is rubber so no sharp edges to put into kitty’s mouth. The rubber tip is split to accommodate different size pills. Pill poppers or shooters are suitable to use for pills or capsules. Sometimes a pill needs to be halved or even quartered which can mean that the size of the pill to be given can be very small and difficult to handle. In this instance using something called a gel cap​ (capsule) ​is what you need to do the job. What is a gel cap? ​A gel cap is an empty capsule that is made from gelatin that can be pulled apart and medication put inside. The gelatin capsule can then be used in the pill popper. These capsules are also fine for human consumption. If your cat has several different medications, voila, they can be put together in the one gel cap. This means that all the medication is being given at one go. One tip for success, is to cover the gel cap, the capsule or even the pill with a little butter or olive oil to assist with going down smoothly. Note: As with all medications, some are not suitable to be halved so take the advice of your veterinarian in this instance. This popper has finger rings to make it easy to hold the popper correctly. It has a transparent barrel ​making it convenient to see at glance if the medication has been dispensed. The tip on the end has been designed to be as unobtrusive as possible so that the procedure is over and done with before the cat really knows what has happened. Water can also be drawn into the plunger. This is useful ​ to draw in a small amount of water to assist with swallowing. This popper is available individually or in a two pack or ten pack. The pill goes into the end and then when ready the plunger is depressed. This pill popper is suitable for pills and capsules. One very good suggestions was to give the cat the pill via the popper and then place him immediately in front of his food. This is sold in a 1 pack and is suitable for repeated use and for use with cats and dogs. ​Remove the plunger after use so that it doesn't stretch the bottom of the barrel where the pill sits. ​The tip is a ​firm plastic material. If the pills you use a very small consider using a gel cap. This popper features a soft rubber tip which is secured to the shaft. It is suitable for half pills and even quarter pills. A common problem with pet pillers is that the pill may not go down, is spat out etc. 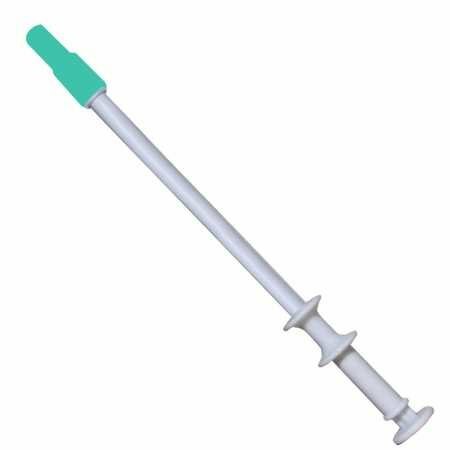 Be prepared by having a syringe of water nearby to use immediately afterwards or be ready to give your cat a treat immediately afterwards or do both. This is something that you and the cat will need to negotiate. Remember you can always crush the pill, put it in a gel cap, coat with a little butter and then use the popper. This may seem like a lot of work but it actually isn’t considering the peace of mind it will bring and these things quickly become routine. This is similar to other pill poppers. It will cope with a small pill. For ease of dispensing ​coat the pill in a little butter. This makes perfect sense. The coating on pills varies substantially, some will be more grippy due to the coating of the pill. One suggestion is to place a small piece of butter in the freezer until the butter hardens enough (but not freezes) to wrap the pill. It comes with two different interchangeable silicone heads, one that has a small slit and is suitable for holding small pills and the other which can be used for liquid. ​Still unsure about a pill popper? If the thought of using a pill popper makes you quiver at the knees you are not alone. Our cat had twice daily injections of insulin for several years. Initially, the thought of giving the injection was difficult for me however like anything else you do get used to doing what you have to do. Some practice with the pill popper will have you using the pill popper efficiently. However if you are still not sold on the idea you may want to give these Pockets a go. They are tasty little morsels with a pocket where the pill is placed. The cat devours the whole pocket as a treat and so the pill is consumed. I have not tried these but in theory the idea is a sound one and they economically priced meaning they are well worth the price for the problem they solve. There are different flavors to help trick - oops, tempt kitty to eat the treat. 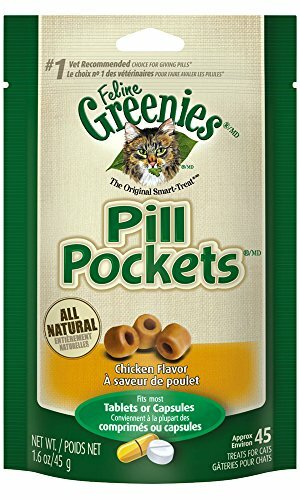 Rather than putting the pocket in the cat’s food it is suggested that the pocket be treated in the same way as an ordinary treat would be given. This will depend on how you give kitty his treats. The pouch is suitable for capsules and tablets. The medication is put into the pouch, the top is pinched together and the sticky texture inside the pouch surrounds and hides the medication. The flavors are chicken, salmon and tuna. Top tip - As cats have a very good sense of smell, do not hold the pocket with the same hand that held the medication. This is a far healthier alternative than hiding medication in food meant for human consumption. This takes the stress and drama away from you and your cat plus you know the cat is actually getting the medication he needs. 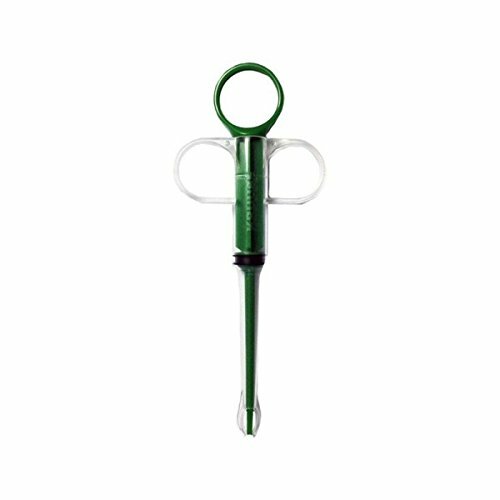 We recommend the Kruse Pet Pill Syringe as it is comfortable to hold with the finger ​rings. It is also able to draw a small amount of liquid which is useful to make sure the pill goes down and is swallowed by the cat.